Parliament recently passed the Companies (Amendment) Bill 2014, the result of extensive review and consultation over the past seven years. Most of the changes proposed by the Steering Committee appointed to review the Companies Act (the Companies Act) were comparable to company legislation in the UK, Australia and Hong Kong, and aimed at developing an efficient corporate regulatory framework for businesses in Singapore. The principal considerations in the review were to update the companies’ legislation in Singapore to cater to current corporate practices, reduce the burden of regulatory compliance, and ensure confidence by ordinary investors by increasing transparency and improving corporate governance. This article focuses on material changes to the administration of private companies under the Companies (Amendment) Act 2014 (revised Companies Act). Companies may wish to note the relevant changes that will require their compliance as soon as the Bill comes into effect by early 2015. In a much welcomed move, the revised Companies Act removes the prohibition under section 76 on financial assistance for private companies; the restriction now being limited to public companies or a company whose holding company or ultimate holding company is a public company. Financial assistance refers to a company providing assistance for the acquisition of its own shares or the shares of its holding company. The Section 76 prohibition generally applies to assistance in the form of making a loan or releasing the acquirer from an obligation. This provision can clamp down on many innocuous transactions including inter-group transactions, and such problems are often resolved in practice by undertaking lengthy “whitewash” procedures that would include, inter alia, approval from all shareholders of the assisting company, solvency statements by directors that the assisting company will be able to meet its liabilities for a period of 12 months after the assistance, and resolutions that the assistance is in the best interests of the company. Such procedures can cause unnecessary delays and expenses. Although private companies (that are not held by or ultimately held by public companies) will no longer be required to undertake the lengthy whitewash procedures that are currently necessary, a board resolution would be required that the company can give the assistance and the terms and conditions of the assistance are fair and reasonable to the company. It would also be good corporate governance for the assisting company to include in its board resolutions language to the effect that the transaction is in the best interests of the company, that the company is in good financial health and that the creditors of the company will not be prejudiced etc. Such a practice would lend support to the Board’s decision to provide financial assistance should the assisting company face any issues at a later stage. it has less than 50 employees at end of each financial year. However a company that is part of a group of companies (whether a parent or a subsidiary) will qualify for audit exemption only if (1) it is a small company that meets two out of the three quantitative criteria stated above and (2) it is part of a “small group” of companies (the entire group meets any two of the above three criteria on a consolidated level to qualify as a “small group”). This new criteria allows for definite determination of whether a private company (based on its revenue, assets and/or number of employees) is required to be audited. A company with a corporate shareholder can also be exempt from audit if the entire group to which it belongs qualifies on a consolidated basis for audit exemption under the “small group” criteria. These recommendations would assist in reducing the regulatory costs for many SMEs. It should be noted, however, that companies remain obliged to maintain proper accounting records and that shareholders with at least 5% voting rights in a company continue to have the power to require such ”small companies” to prepare audited accounts. Resignation of director. The effectiveness of a director’s resignation shall generally not be conditional upon the company’s acceptance. This change seeks to codify the common law position that unless the director’s contract or the articles of association require it, a formal acceptance of the director’s resignation by the company is not necessary. 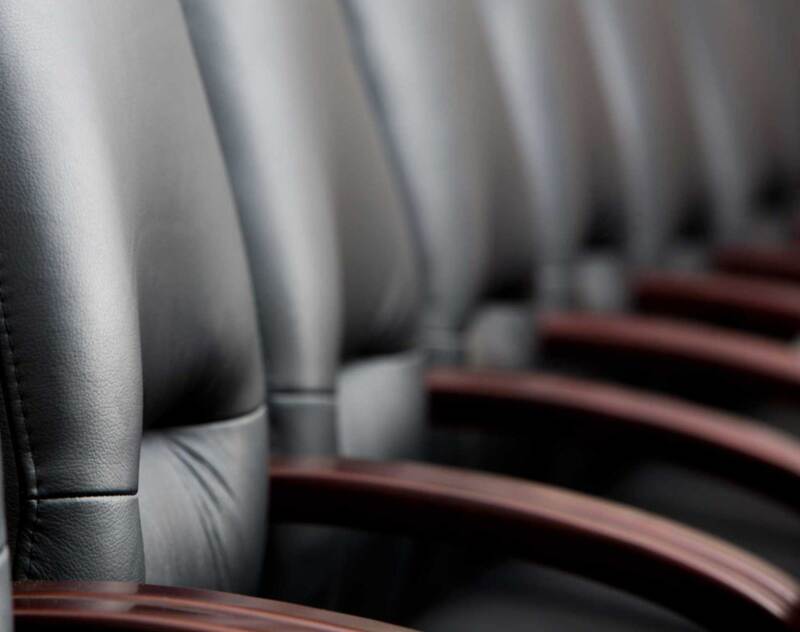 It is clear however that the resignation would be valid only if there would be at least one director remaining in the company who is ordinarily resident in Singapore (an existing requirement under section 145(5) that is retained in the revised Companies Act). Removal of director. The revised Companies Act expressly formalises a private company’s power to remove any director by ordinary resolution subject to contrary provision in the articles of association and notwithstanding any agreement between such director and the company. Provision for the removal of a director of a private company was typically found in the company’s articles of association, rather than the Companies Act. Lapse of written resolutions. A proposed written resolution will lapse after 28 days of being circulated if the required majority vote is not attained by the end of this period (beginning with the date of circulation to members of the company), subject to any contrary provision in the memorandum or articles of the company. This recommendation will prevent any delays when resolutions are circulated for signing, as well as provide certainty as to whether the resolution is adopted or not. However monitoring would be required so that the time period does not expire and the resolution lapse due to delays in signing. At present, solvency requirements must always be met except where the reduction of capital is in respect of cancellation of capital lost or unrepresented by available assets. The ambiguity that currently exists would be removed by the new provisions which provide that solvency statements are not required unless the capital reduction involves a reduction/distribution of cash or other assets by the company, or a release of any liability owed to the company. This amendment would broaden the situations where solvency statements are not required. The current requirement to send a notice to the Comptroller of Income Tax (within eight days from the resolution date) has also been eliminated. The longest permissible time period between the date of making of a solvency statement and the date of a resolution authorising capital reduction will be extended from the current 15 days (for private companies) and 22 days (for public companies) to 20 days and 30 days respectively. The definition of “subsidiary” in the Companies Act has been amended such that the holding by a company of a majority of issued share capital of another company does not now make the latter the subsidiary of the former. Following this amendment, a company S will be considered a subsidiary of another company H if company H controls the composition of the board of directors of company S or controls the majority of the voting power of company S. This amendment seeks to recognise the different means of control of a company – by directors, through voting agreements, and voting control. A company should nonetheless be cautious if it has the right to appoint majority of the board of another company, if the former company does not intend to consider the latter its subsidiary. ACRA registers of members. ACRA will now maintain the registers of members of private companies in electronic form. These would be accessible by the public and can be used as the authoritative registers for private companies in Singapore. By making the ACRA registers the definitive member registers for all companies, it appears that companies would not be required to maintain these registers themselves, provided they make the relevant filings with ACRA promptly. Future due diligence can also be done by reviewing the electronic records instead of examining physical records. However it should be noted that in transactions involving share transfer(s) or share allotments in a private company, such transfers or allotments would only take effect (and the electronic register of members updated) when filing with ACRA is completed. Registers of directors, secretaries, auditors and CEOs (in place of the register of managers which will be abolished) kept by ACRA can be used as the definitive registers. Constitution of a company. The Memorandum and Articles of Association will be merged into one document called the ‘Constitution’. This amendment to the Companies Act ties in with practice where the Memorandum and Articles of Association tend to be bound together and viewed as a single document. To this end, the revised Companies Act provides that the ‘constitution’ also refers to the memorandum and articles of association of companies incorporated prior to its commencement. Electronic notices –Electronic transmission rules have been liberalised for communications by companies to their members (i.e. notices of meetings etc), allowing companies to specify in their constitutional documents the mode of electronic transmission to be used. Not only is this move very timely given the practical realities of the administration of many companies these days, but they move further in the direction of reducing costs and improving efficiency. the guarding against falsification of such records. Amendments to this area recognise advances in technology and the move towards a paperless (and green) society where electronic records can be kept and made easily accessible to those who require the information. Although directors have flexibility to arrange the records in such manner as they deem fit, the new provisions place responsibility on them to ensure proper maintenance and authenticity of the records. In taking precautions against falsification and facilitating discovery of this, directors must ensure that electronic records are verified to be the correct and definitive copies. We hope that ACRA will eventually provide a best practices guide so that a consistent approach is adopted towards determining the authentication and verification of such electronic records. Such a guide can be updated as and when there are changes in practice to be consistent with the advances of technology. Consistency in verification practices and the availability of best practices would also be welcomed by investors and other stakeholders who can confidently rely on electronic records for due diligence and information.